Getting ready for maize in 2009—Simon Draper. Irish Recommended Variety list—John Morgan. European maize meeting report—John Morgan. Governments responseto NVZ consultation—John Morgan. Maize dry down rates—Briony Lennox. New DM recommendations for forage maize—John Morgan. Catch cropping after maize—Simon Draper. Fertiliser requirements for winter cereals—David Munday. Feed prices—Where next? - Chris Savery. Post emergence sprays - Simon Draper. Mycotoxins explained - John Morgan. Getting ready for maize in 2008—Simon Draper. Maize & Wholecrop for beef—Chris Savery. The Value of organic manures—John Morgan. 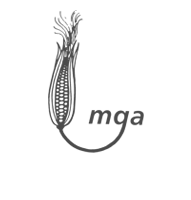 MGA's 20th year annual Maize Conference. Last minute herbicide applications—Simon Draper. Feeding cows in this wet weather—Chris Savery. Maize crop growth around the Country. Wholecrop cereals, what value in the diet?—Chris Savery. Post emergence sprays for maize—Simon Draper. Grass silage—What’s required? - Chris Savery. Maize Drilling tips - Simon Draper. Seed rates & seed dressing note. Nutrient “Opportunity or Overload” - John Morgan explains. Harvesting, drying and marketing grain maize—Neil Groom.